Cast your minds back a couple of weeks if you will and you’ll recall I was getting ready to make my merry way to Stockholm for a real life adventure with some dear friends. We came, we saw, we ate cake, we danced. The first thing that struck me about Stockholm was the high percentage of beautiful people just wandering about the place with the rest of us mere mortals. There’s definitely something in the air in this city that makes its inhabitants glow from the inside out. Everyone seems totally chilled out and content. In contrast to most of the major cities I have visited folk here seem willing to give you the benefit of the doubt in most circumstances. For example, we ended up somehow getting the wrong tram ticket on Sunday morning but rather than throw us off in the middle of nowhere the conductor just told us to look out for the right ticket next time and with a smile he was on his way. No snide remarks, no furrowed brow, just a small gesture of human kindness. The second thing to note is the food. The Swedish take food very seriously and rightly so. It, like everything else in Sweden, costs a bloody fortune so if you are planning to lose some weight I suggest you head there for a detox. 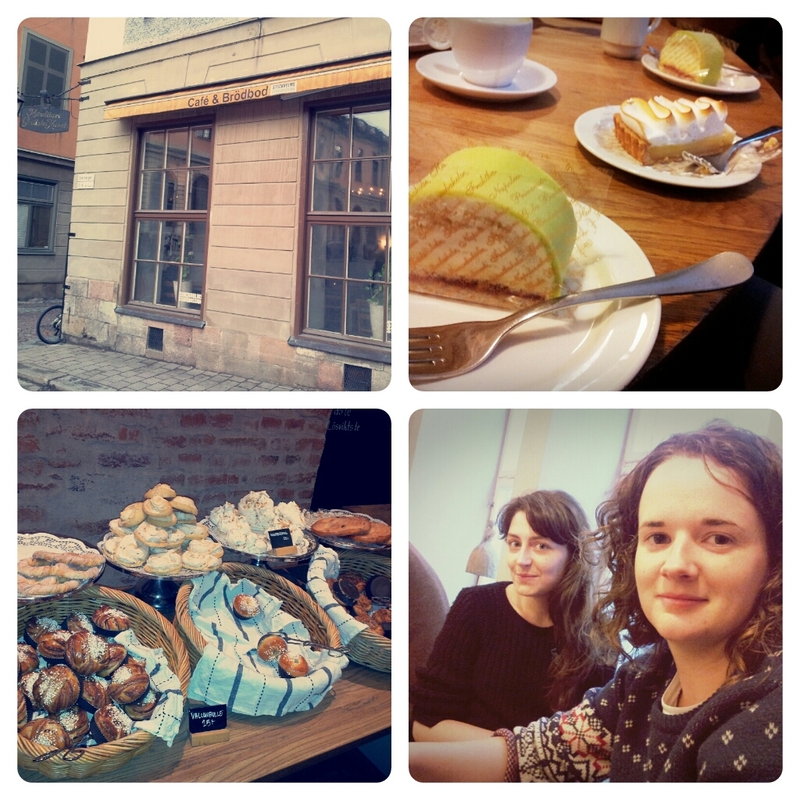 At the beginning of our trip, when we were still feeling flush, we treated ourselves to some cake in the Old Town. If you like your cream with a side of cake I recommend you try some colourful Princess Cake – a delightfully heady mix of sponge, raspberry jam, crème patissiere and cream held together by a thin layer of green marzipan. If spice is more your thing try a cardamom bun for something a little different. The coffee shop we visited was amazing, it’s pictured below and you can find it in the square close the Nobel Museum. While taking a boat tour of the archipelago we were wowed by the breathtaking scenery en route to the various islands. 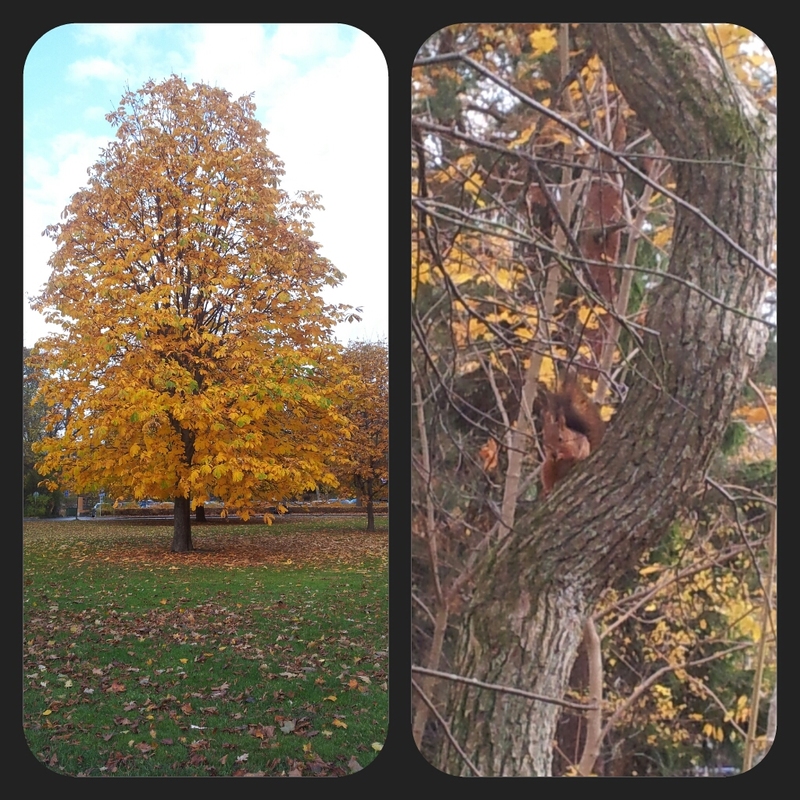 Bordering the water, in between the homes of the super rich and embassies, were trees in every shade of autumn bursting with life. Nordic walkers and runners pounded the manmade pavements fuelling the theory that nature in the city adds to the wellbeing of the people who live there. Our trip to Skansen, (Sweden’s outdoor museum), certainly made us feel pretty good. 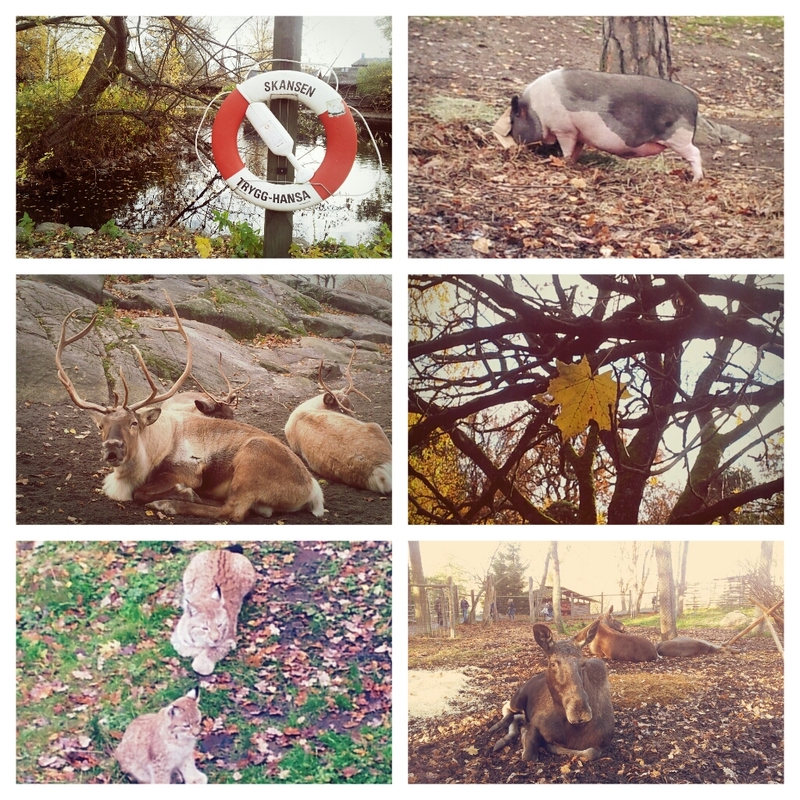 If you are making a trip to the city I would whole heartedly recommend you pencil in a visit to Skansen. It was among the cheaper days out we enjoyed with admission costing around £10 each (amazingly, this is cheap for Stockholm!) and is a popular spot with families and locals. We missed a bit of a trick here as those in the know brought food to cook over the fire pits so bear it in mind if you are planning a future visit! We only spent a short while there but you could easily spend a full day wandering about and enjoying the fresh air. You can buy coffee and food there but service is very slow so best to start queuing up before the hunger pangs hit! It’s a brilliant spot for big kids like us as well as wee ones and is an ideal place to introduce them to the natural world and the importance of its preservation. 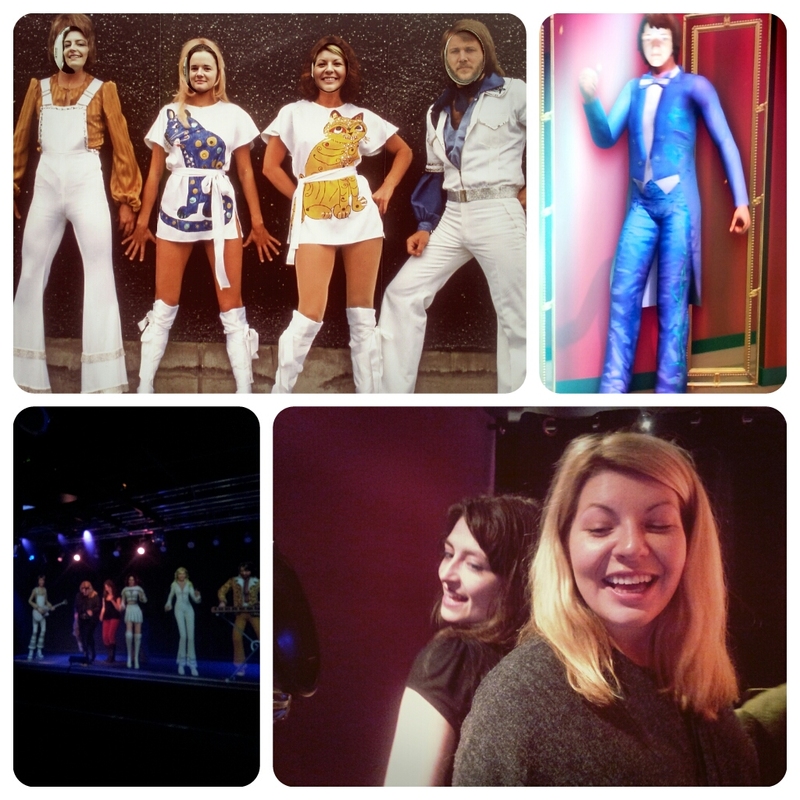 Next up we went to the ABBA museum. Feel free to judge us for we care not. They say you walk in and dance out and this was definitely true in our case. It’s on the pricey side at around £19.50 per person but my advice is to go along and get stuck in with all the interactive opportunities on offer. I wouldn’t class myself as an überfan or anything but I’m not ashamed to admit I had the time of my life as I bopped my way round the exhibition. It’s only been open for a few months and is very popular so, if you can, book your tickets online in advance. We tried to go on Saturday only to discover they were sold out for the rest of the afternoon and had to book for Sunday morning. And don’t bother bringing cash to the museum. You won’t be able to spend it. It’s the first cashless museum of its kind with ideas of starting a cashless revolution. The band members explain that cash is the root of so many of the world’s problems – theft, drug addiction etc. They believe that without cash the world will be a better place and I have to say, although initially sceptical, I bought into the idea by the end of my visit. Pardon the dreadfully placed pun. All in all our trip was full of laughter and putting the world to rights over a few drinks. Only a few mind you. Alcohol is even more extortionately priced than food. If you haven’t been to beautiful Stockholm it’s definitely worth a trip – start saving!